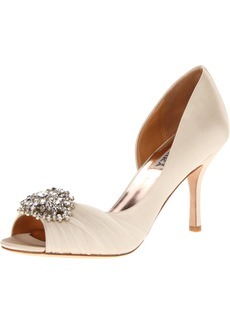 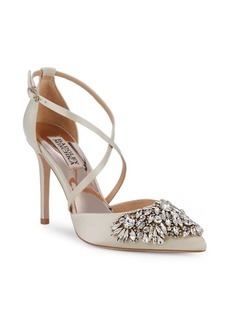 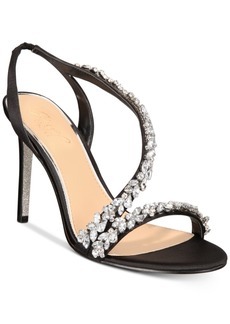 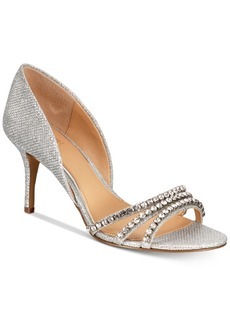 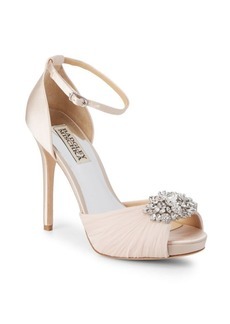 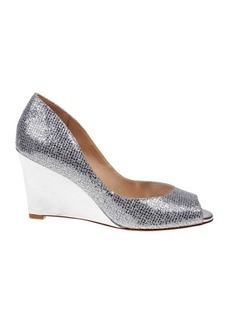 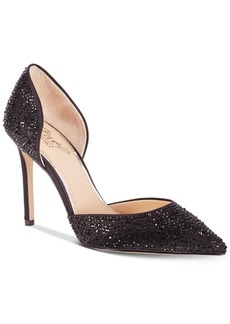 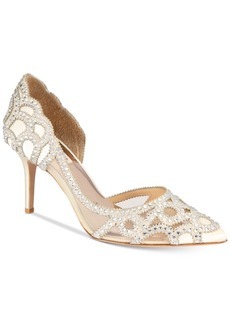 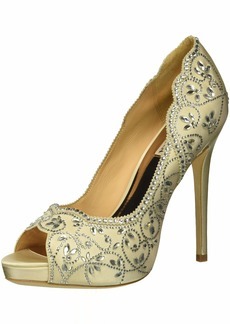 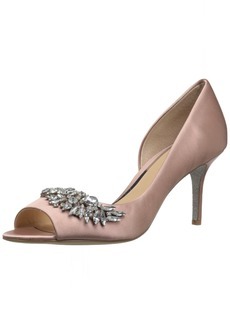 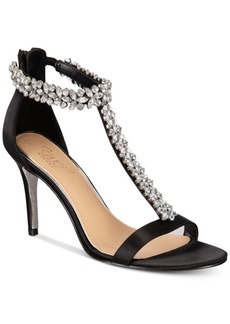 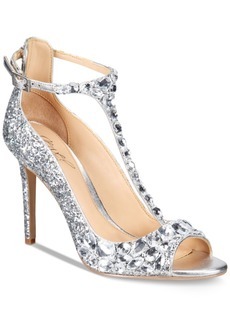 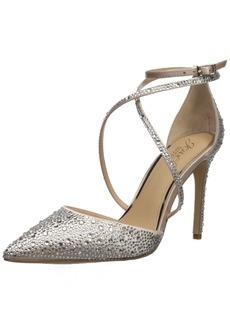 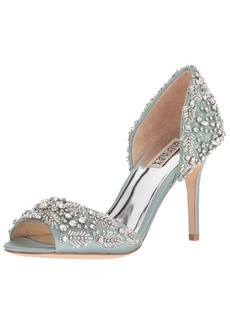 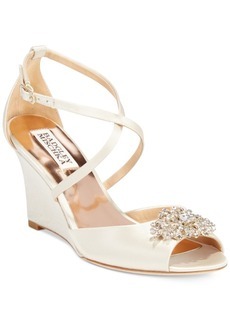 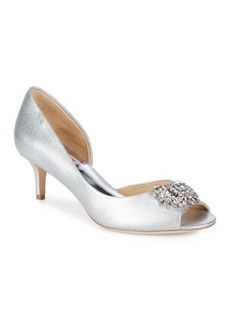 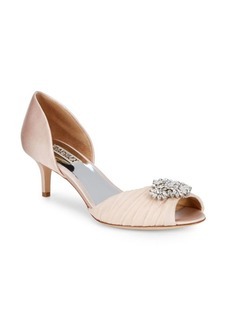 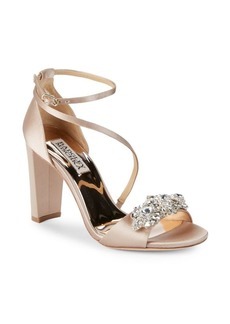 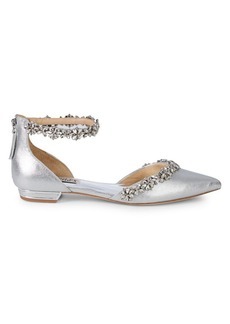 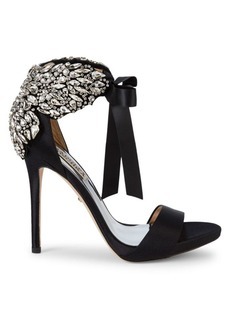 Beautiful platform peep toe pump with dazzling crystal brooche at the toe. 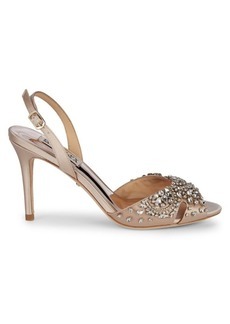 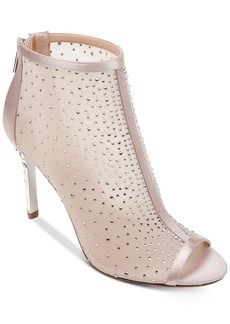 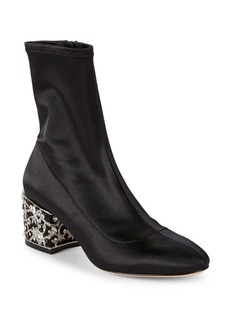 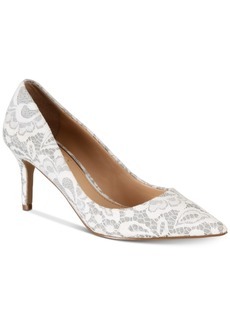 The 4 1/2" heel is balanced with a 1/2" platform front for comfort and fit. 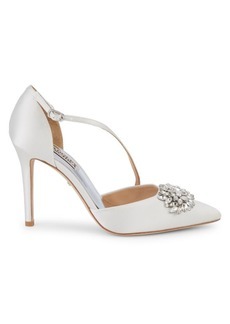 Available in Diamond White.